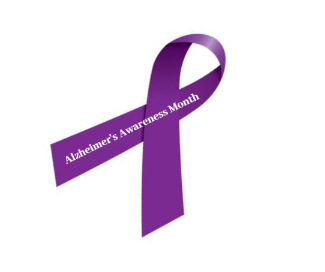 According to the Alzheimer’s Association, there are nearly 5.7 million Americans of all ages living with Alzheimer’s dementia. An estimated 5.5 million of those are older than 65 years old; approximately 200,000 under the age of 65 have younger-onset Alzheimer’s. Alzheimer’s disease is a type of dementia which leads to memory, thinking, reasoning and behavioral difficulties or loss. In the early stage, memory complications are minor but as the disease progresses individuals have trouble being aware of their surroundings. Holding a conversation for a long period of time will also become challenging for both the individual with Alzheimer’s and their loved ones or caregivers. Over time, Alzheimer’s tends to get worse making it difficult to complete daily tasks without help. Forgetting recently learned information, asking for the same information over and over, or constantly needing to rely on a memory aid (reminders, notes, smartphones) are all red flags to seek medical attention. Noticing a difference in one’s ability to complete a task that they used to complete much quicker. You also might notice their ability to follow directions is becoming more of a challenge for them. With all the changes going on in the brain, you may begin to notice sudden shifts in their mood and personality. Often times they might seem confused about their environment or the people around them, suspicious or paranoid, or even depressed. Other moods may occur from time to time; if their moods become more abnormal than usual consult with a doctor. It is very common for those with Alzheimer’s to lose track of time and forget where they are or how they got there in the first place. As memory begins to decline, small details will be the first to go. This also makes it easier for those with Alzheimer’s to misplace things, which will often result in them becoming frustrated or making false accusations by accusing those around them. How to Help Those with Alzheimer’s? Try to stick to a simple daily routine. Don’t argue or show regular signs of frustration or anger. Focus on their feelings and physical responses rather than words. Reassure him or her that they are safe, and you are there to help when needed. Know when you need a break or day to yourself. Don’t be ashamed to ask for help or advice from an expert.